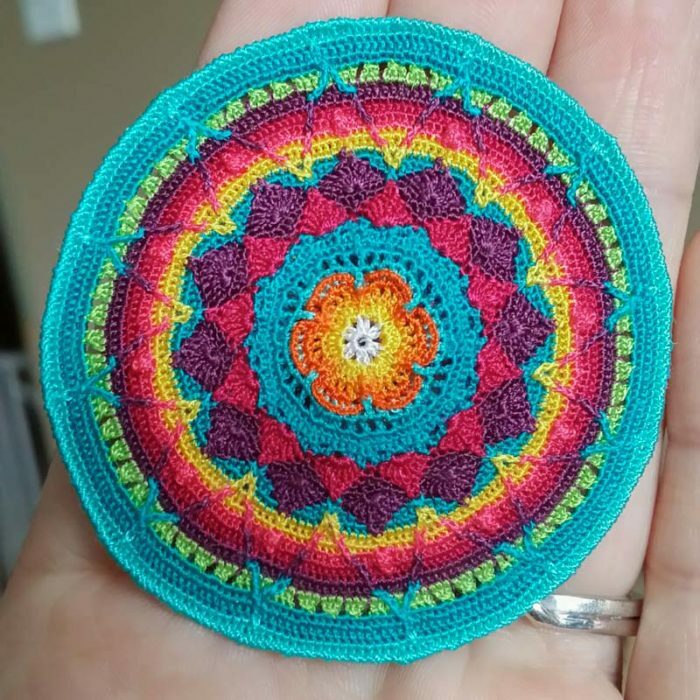 Some of you will have seen this amazing Micro Sophie’s Universe by Geneva-Kae Snyder. 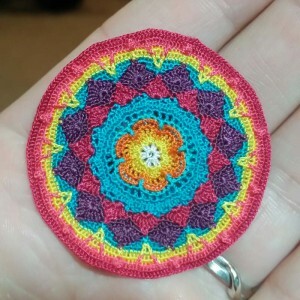 I followed Geneva-Kae’s progress closely and couldn’t wait to see if she would finish her Micro Sophie’s Universe. She did finish it, using the tiniest of hooks and embroidery thread. I asked Geneva-Kae to share her journey with us. Enjoy! 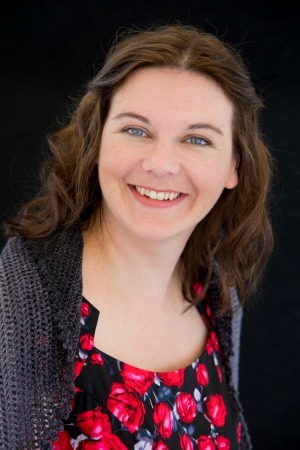 All the photos in this post have been used with Geneva-Kae Snyder’s permission. 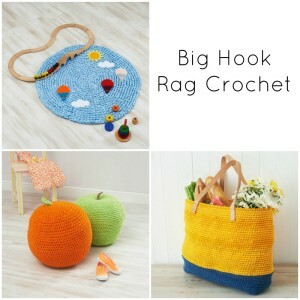 I have crocheted off and on since I was 5 or 6. My mom and grandma taught me. My mom reads patterns and my grandma learned from others. 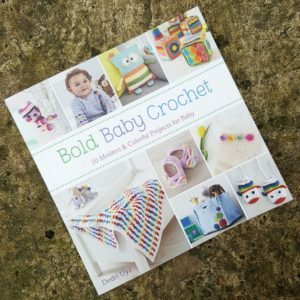 Typically they would teach her a pattern like entrelac or granny stitch, and she would only do that style until she learned something new. 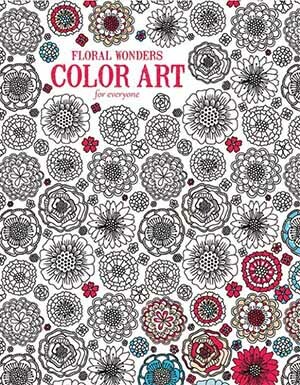 I read patterns and alter them, but typically do not freehand. Knitting is my true love, and since I taught myself about 4 years ago, I have not crocheted. When I saw your pattern I had to pick up my hook again. I could not find a yarn I could justify the purchase of at the time, and really struggled with picking a color scheme. 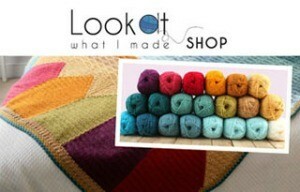 So while shopping for yarn I was playing with thread to make a color scheme, ended up buying it and ordering hooks. Once I started, I could not put her down. Your pattern was so easy to read, with pictures of anything that I questioned at all, it was impossible to make a mistake, or to get too far past one. The community of people that shared their struggles and joys and color schemes really made it fun to stay involved in the project. 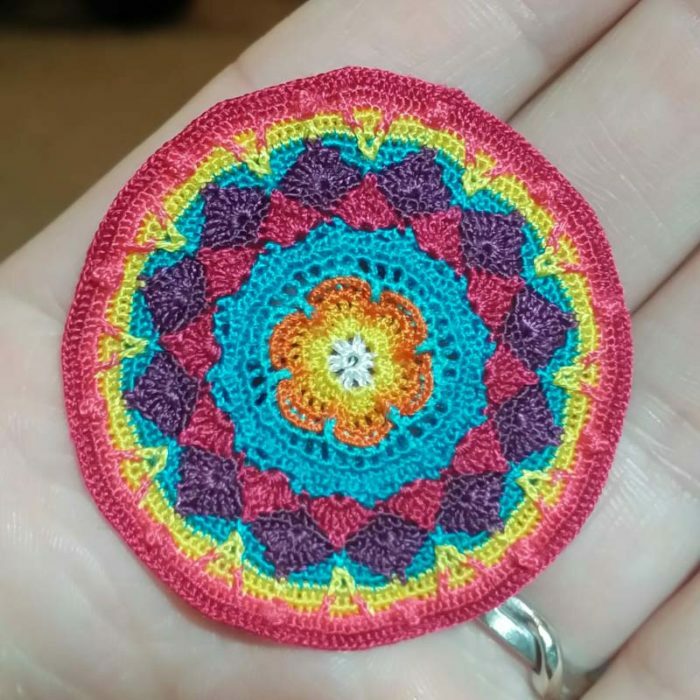 I did my micro Sophie starting with a .35mm hook and moved up to a .4mm hook at the crab stitch row. After the roses I moved up to a .45mm hook, a .5mm around the butterfly band, and finished her with a .55mm hook from the end of the butterfly band to the very end. I still may add a lacy border to make it look like a doily, but at this point I think my mindset is that she is done, and I’m not going to touch her again. The whole piece was done with Gutermann viscose embroidery thread. It is a 40 weight sewing thread with a beautiful sheen to it that gave the piece a nice softness. As for how many hours…I honestly could not say. I spent as many as 60 hours a week on it for 4 and a half months. I started my third attempt at the end of April, and it was the one I finished the first week of August. The first were trial and error attempts to learn how the thread was going to work up. It took a lot of modifying to get the pattern to lie flat since thread does not have any stretch to it…or because I crochet tightly. The final finished and mounted Micro Sophie’s Universe is a perfect 10″ square, which is about three inches bigger than I estimated she would be. I won First Place in the category, and Superintendents Choice. 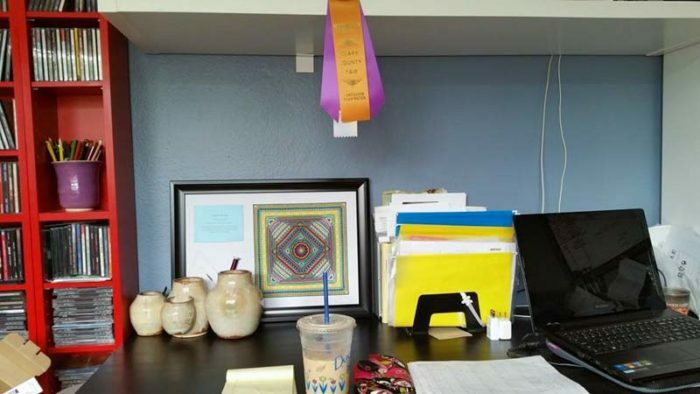 Superintendents choice is a ribbon given to an outstanding piece that doesn’t equate to a place. There may be a few in a category, or none. Mine was one of three for all of the crochet work. The Clark County Fair is a pretty big fair with about two hundred entries just in the crochet category. The garden portion of the project was my favorite part, both in how easy and quickly it worked up, but also the aesthetic. 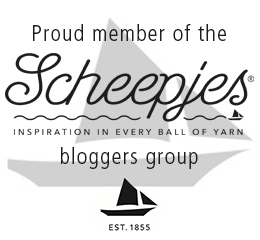 The corners to square it are one of my favorite details and what kept me going was the variation of stitches. I always lose interest with monotonous patterns that have no variation. My least favorite part of the project was back post stitches. 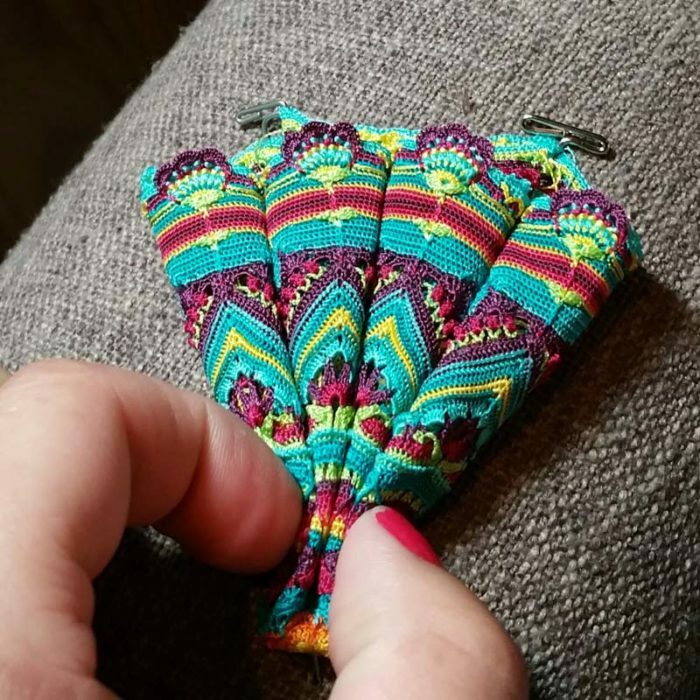 It is not that I do not like them, it was that I was terrified to to them because I kept breaking the thread and would have to go back and redo 3-5 rows at a time each time I broke the thread. I lost a month of progress doing and redoing sections 7 and 8 because of broken threads. This was also when I put Sophie down for about a week. I didn’t have the heart to work on her after losing so much work. All the encouragement from the community kept me going, and I needed to get my taxes done, so I kept telling myself, I’ll just finish Sophie really quickly and then get my paperwork done…ha ha. I would absolutely go through the thread journey again. I still want to do one with yarn. I have also thought about just doing the garden then the butterfly band to the end and making a bunch of those and sewing them together. 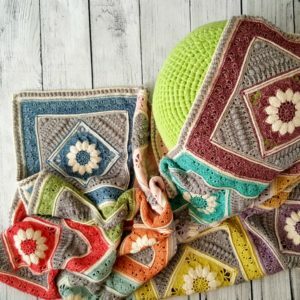 Since finishing Sophie I spent 2 months unable to get interested in a pattern again, starting an African flower blanket and a handful of other projects I put down. I’m back to knitting, and just started winter cardigans and knit Converse style slippers for my girls ages 17 months and 3.5 years. Thank you so much for your encouragement on this project. It absolutely was the cherry on top for this project that you showed interest in her. 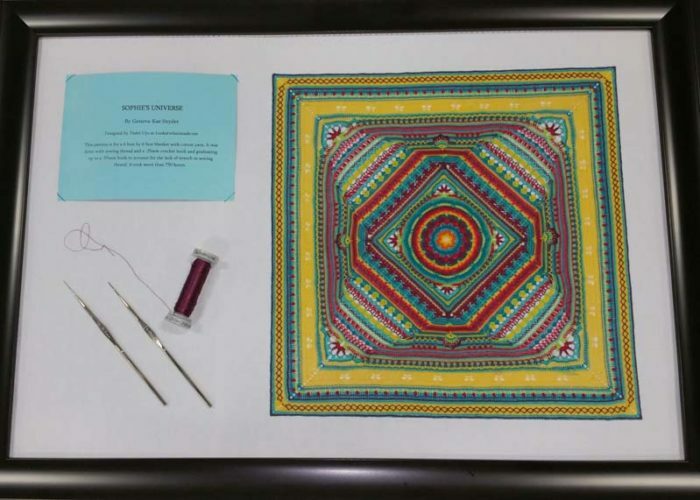 I hope you enjoyed reading about Geneva-Kae’s Micro Sophie’s Universe. 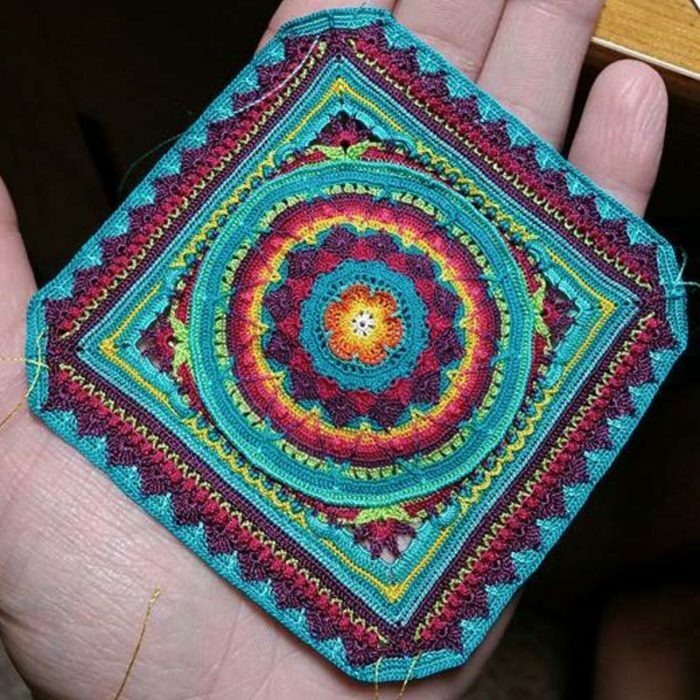 You can see more in-progress photos of the Micro Sophie’s Universe HERE. 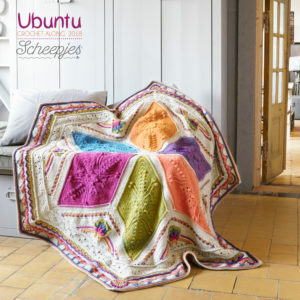 If you would like to make your own Sophie (it doesn’t have to be in sewing thread, don’t worry! ), you can find the pattern HERE. 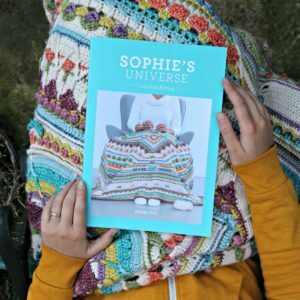 You can also find more examples of Sophie HERE on Ravelry. Oh my goodness. How lovely! I also have a few tiny bone crochet hooks that belonged to my Grandmother, so it really could be a fabulous ‘nod’ to them both. Oh do try it! That would make the best ‘story’. And you’d end up with a gorgeous tiny Sophie you can frame and look at to spark joy. 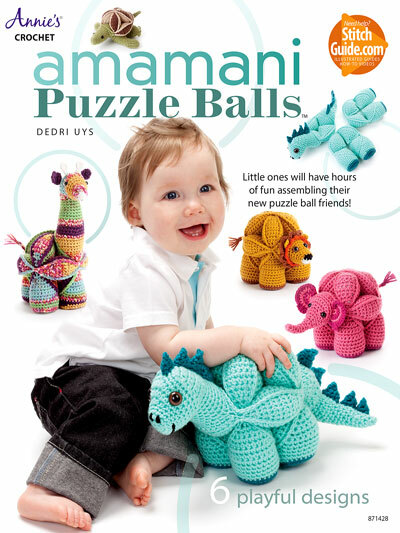 Oh wow this is so amazing, a lovely pattern taken to the next level by the choice of ‘yarn’. I know I wouldn’t have the patience to do this, I’m more of a DK kind of girl who likes to complete things quickly so I can really appreciate the time and effort taken to complete this project. I was interested to read about the problems with the thread breaking, particularly on some rows, not a problem I encounter using DK yarn so not something I would have anticipated. I love the word miniaturist :) It conjures up all manner of teeny tiny wonders. You should def try Sophie in thread if you are comfortable with working in thread! Thank you for linking this post to my blog. Over 700 views in one week! It’s the most amazing project I have ever seen. 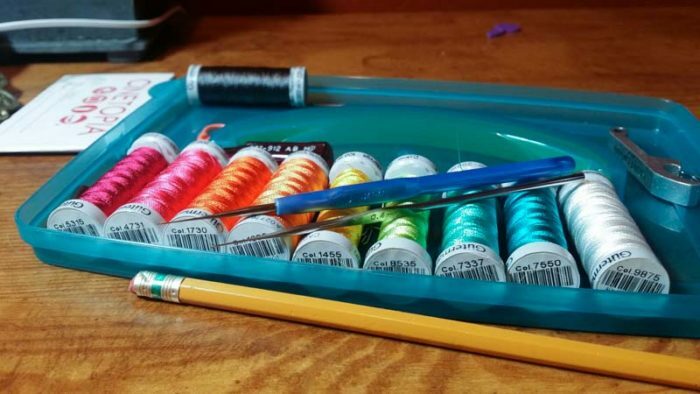 Where did you find the .35 and .40 crochet hooks? I have the larger sizes, but cannot find these. thanks! 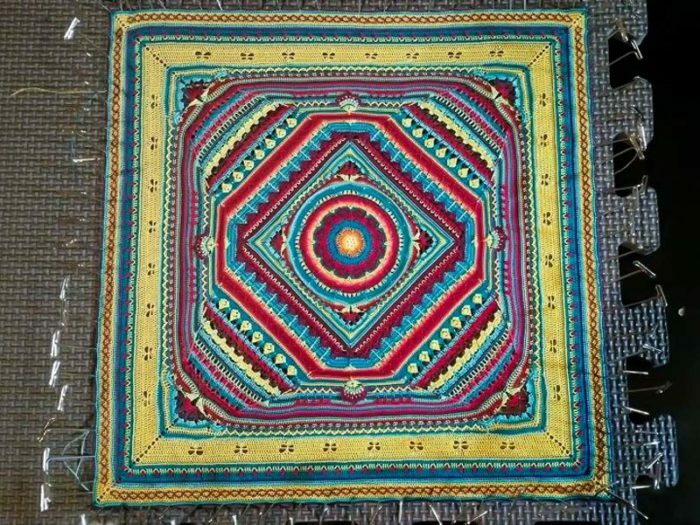 I love your work and do a lot of thread work myself and like you wanted to do a Sophie but the yarn expense on a fixed income has prevented my participation. Thread is so much more portable than yarn. Just a small plastic pencil case and you have days of work! Dawn, hi. I have tried to find similarly teensy hooks, but to no avail. I think your best bet is going to be garage sales or charity shops (thrift stores). The smallest I have managed to buy is a 0.5mm. This is just stunning. 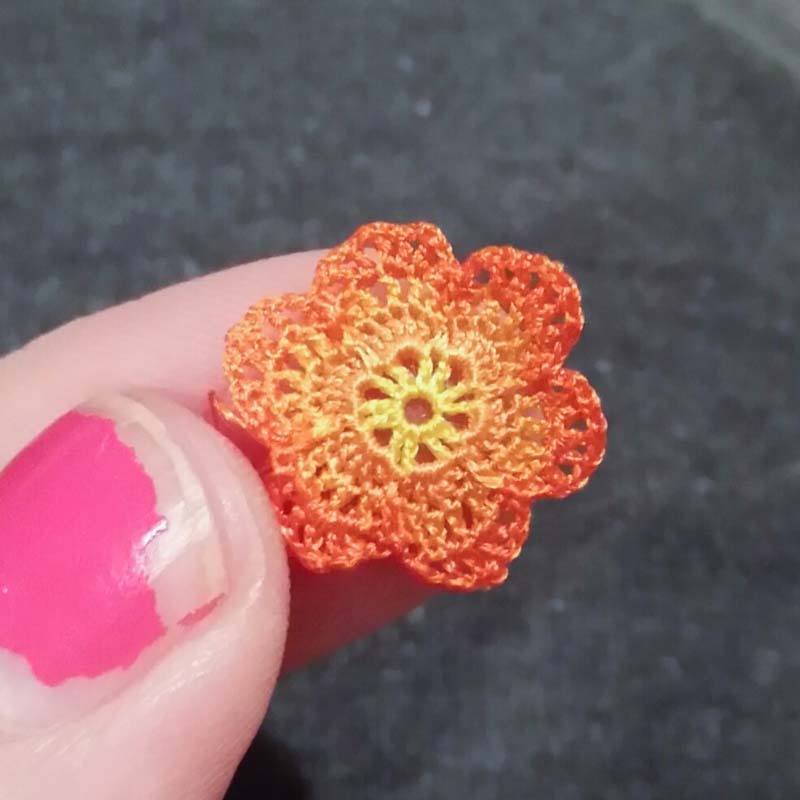 I can’t imagine working on something so tiny! OMGOMGOMGOMGOMGOMGOMG and O…..M……G!!!!!!!!!!!!!!!!!!!!!!!!!!!!!!!!!!!! That is all. wonderful work :) I love it! OMG what Beauty!! My hands hurt just thinking of the steel hook you used!! I am amazed!! I bow to you!! It is an amazing achievement! I am totally smitten with it! Oh the agony of redoing so many rows and breaking threads! Such a gorgeous piece of art. Well done on persevering Geneva-Kay! And congrats on your well deserved win at the fair. 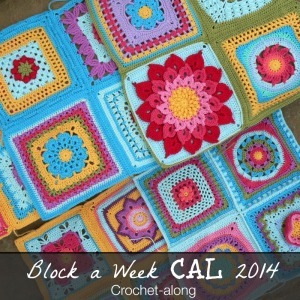 I absolutely love this Sophie and I share your view about getting bored with monotonous stitches in projects. 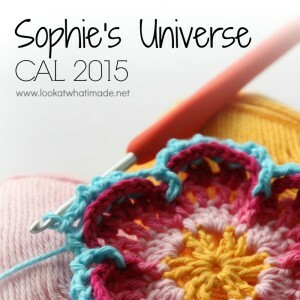 Sophie was the beginning of mystery CAL’s for me, and I loved every minute of it. My eyes aren’t good enough to do this in sewing thread but I’ve thought about embroidery floss or something similar. You did an amazing job, and I’m glad the judges realized that and awarded you accordingly. Super cool!